Learn how to use Trick Shots and Zone Speed to block Zone and Special Shots in Mario Tennis Aces. 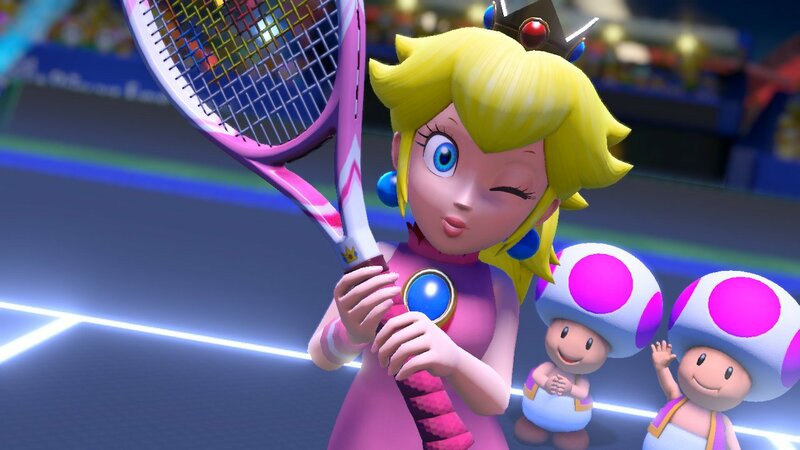 Mario Tennis Aces is a cracking competitive sports game, but can prove unforgiving to new players — especially when it comes to racket breaks. It’s not a lot of fun to lose a game by running out of rackets, and it doesn’t help that the game’s short story mode does a pretty poor job of teaching you the core mechanics. If you’ve been having trouble blocking Zone and Special Shots without taking damage, don’t worry, we’ve got the tricks to help you out. In this article we’ll teach you how to block Zone and Special shots in Mario Tennis Aces. 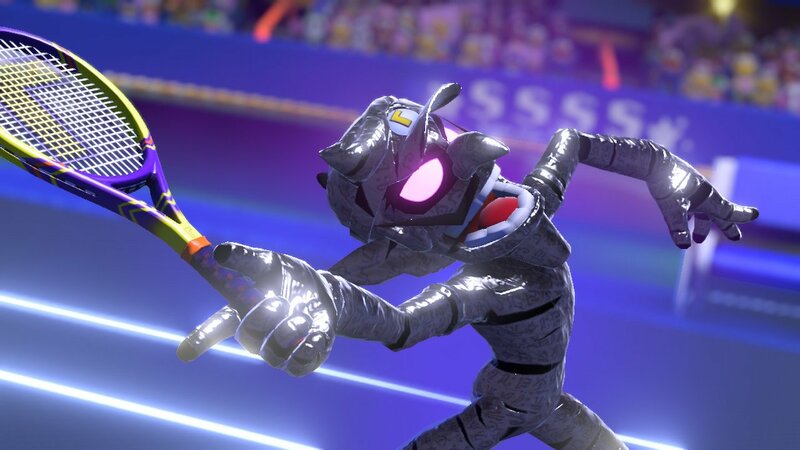 Mario Tennis Aces might hide under Nintendo’s family-friendly veneer, but the game itself is surprisingly tricky to get to grips with. To help you deal with both Zone and Special Shots we’re going to handle each separately as you’ll need to treat them differently to succeed. Special shots are super moves that characters can perform whenever they have a full Energy Gauge. Powerful strikes, Special shots are extremely risky to defend against as timing your block incorrectly will cause your racket to be instantly broken. You may have plenty more in the story mode, but if you’re playing multiplayer you’ll only ever have two, and if you break them both, that’s it. If you want to return a special shot, the first thing you should check is if you have enough Energy in your meter for slow-mo. If you think you’ll have to cross the court, you’ll probably need at least half your Energy Gauge filled. As soon as your opponent activates their special shot, hold R so that you immediately enter slow motion once they hit the ball. From here you’ll want to look at the angle they’re hitting it at and see if you think you can reach it. If you’re behind the baseline and they’re smashing it straight down at a sharp angle from the net, you’ll never reach the ball to return it anyway so don’t waste any more of your meter on slow mo. If you can reach it, run into the path of the ball and wait for it to get close. Be careful, it’s easy to run underneath the ball if you judge the perspective wrong. Once the glowing light from the ball is close to your character, press A, B or Y to return it. You can also try to perform a lob or drop shot, but this is much more difficult so we recommend starting with a regular shot. The timing is a little challenging but with a bit of practice you’ll manage it without much trouble. Once you have the timing down, try to aim away from your opponent. They’ll still be stuck in the air following their special shot, which means if you do return the ball, it’s actually pretty tough for them to follow it up. Do not return Special Shots with your own Special Shot unless missing the ball would lose you the game. Doing so will result in you hitting a slow star shot in return while you’re stuck up in the air. You’ll almost always lose on the next shot so avoid doing this at all costs. Zone Shots can be performed with at least one third of an Energy Gauge when standing in a star point. These speedy shots require careful timing to return or they’ll shave off a third of your racket’s health. Fail to return three Zone Shots with correct timing and you’ll break your racket. That might sound like a lot, but you’ll often face multiple Zone Shots in a single point so it’s important to make your blocks count. There are three methods to block Zone Shots. One is better than the others, but requires a bit of practice to perfect. The best but hardest way to save a Zone Shot without spending much Energy is by making use of the Trick Shot mechanic. Unfortunately, how this works will change depending on where you are on the court. You’ll also need some Energy to be able to perform the Trick Shot correctly. Trick Shots will automatically move you to the position of the ball so long as you aim the stick in the correct direction and the shot is within range. To perform this with the most success you need to rapidly tap the right analogue stick in the direction you think the shot will go while your opponent is lining it up. This will perform the Trick Shot as soon as possible and even gain you Energyif done well. This requires a bit of guesswork, so you need to think about where you opponent it likely to hit the ball. Defensive characters like Bowser Jr and Waluigi will have much better success rates when performing this thanks to their long Trick Shot range. 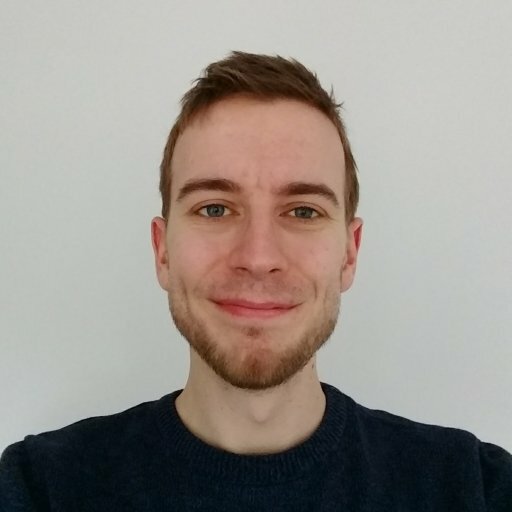 For example, if you’re on the right-hand side of the court, rapidly flick the right hand analogue stick to the left while your opponent is lining up the shot. So long as you keep tapping this direction, your character will jump as soon as possible once the shot has been taken. If you’re in the center of the court and close to the net, rapidly tap down on the right analogue stick . This is one of the safest positions to be in for returning as almost every shot will go behind you. The crucial point here is that you need to press the shot button (A, B, Y or X) as your character reaches the ball to strike it. If you don’t, your racket will take damage. Here’s an example of two Trick Shots returned by tapping down on the right analogue stick. The first shot fails the button timing, while the second succeeds. Notice how Peach jumps in different directions with the same input? You can apply the same technique if you're lobbed, too. If using Trick shots is proving too tough, another method to save Zone Shots is to use Zone Speed. This will cost you a lot more of your Energy, but should make returning much easier. In this case, hold R while your opponent lines up their shot so that you enter slow motion as soon as they hit the ball. From here, you need to run close to the ball’s path and wait. Only press the strike button (A, B, Y or X) once the ball is basically on top of your character. To stop you from accidentally getting hit in the body, try standing slightly to the side of the ball’s path. This method will consume a lot of your Energy Gauge while you’re holding R, meaning you’ll need a lot in the bank to perform it. You can save a bit by moving into position and then letting go or R to end the slow mo early. You’ll need fast hands to time the shot after this though, so you’re probably better off learning the Trick Shot return instead. The final method for blocking a Zone Shot is the easiest but requires you to have a full Energy Gauge. To return with a Special Shot, simply hit LT as soon as your opponent hits the ball towards you. No matter where you are on the court, using your Special Shot will teleport you to the ball and let you perform a powerful hit without taking any racket damage. Better yet, if your opponent has just used a Zone Shot they’ll still be up in the air, making it very tough for them to return if you knock it away from them. If you have a full meter, this is the best way to return a Zone Shot.